I’m Rachel, and this is me wearing my 3 year old daughter…who was sick with a fever and just wanted some big-girl-front-carry snuggles. We’re standing in my dining room, heading toward the couch in the living room for some wrapping and resting! 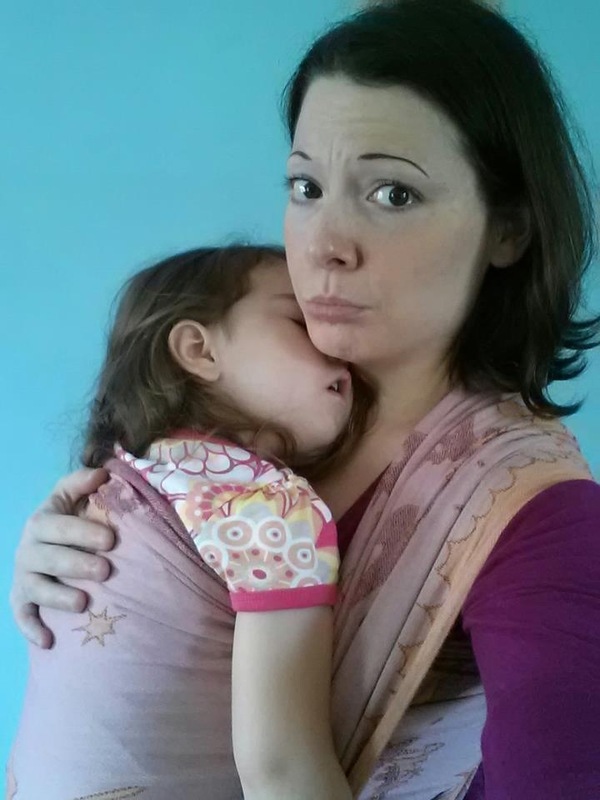 I’ve since tried to sell/trade that wrap about a dozen times since we’re not using it so much anymore, but this picture always comes to mind and how my big girl snuggles made this wrap a keeper. Now we have the new little squish, and I’m really enjoying all of the different carriers I can use with her, but I’m not going to forget when my first daughter was my only wrappee for 4 years!, and how happy her Pink Dragons made her on a rough day.